Technical Resources - Florida Independent Concrete and Associated Products, Inc. The Concrete Calculators help you to estimate the required concrete volume for a pour placement, the volume of concrete needed to fill a block, and the volume of concrete needed in a column. Note: These calculators are provided as a reference for the convenience of our members and site visitors. They have been created using standard ready mix concrete industry measurements and formulae. No allowances have been made for variations in grade thicknesses, dimensional errors in width or length, waste, spillage, or shrinkage. FICAP has no responsibility for or control over the resultant quantities using these calculators. FICAP makes no promises or warranties of any kind, expressed or implied, including those of merchantability, fitness for a particular purpose, and non-infringement as to the content herein. In no event, shall FICAP be liable for any damages resulting from use of these calculators. x means 'multiply by' . . .
/ means 'divide by' . . .
All other values given to an appropriate degree of accuracy. Concrete is used in buildings, bridges, dams, tunnels, sewerage systems pavements, runways and even roads. 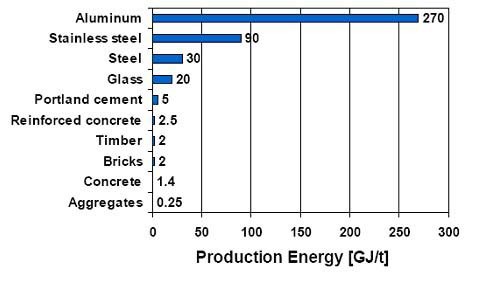 CO2 emissions from concrete and cement production are relatively small compared to other building materials. The relative expense of land transport usually limits cement and concrete sales to within 300km of a plant site.